On April 3, I delivered my National Press Club Address that outlined the Coalition’s plan for a stronger economy with lower taxes and more jobs that guarantees essential services like schools, hospitals and roads. We are setting the course for an even better and brighter Australia. 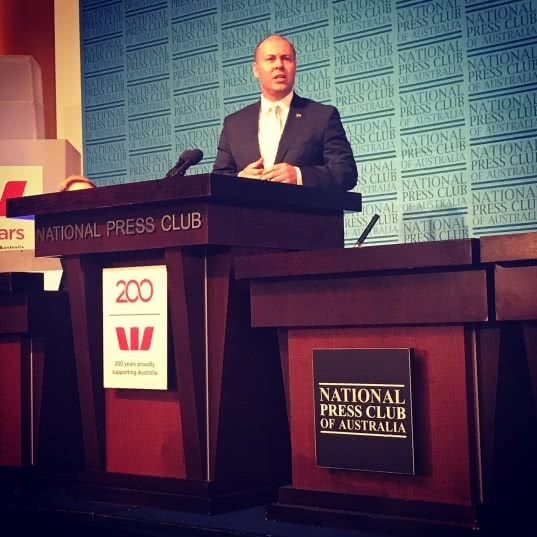 Read my Press Club Address here: https://joshfrydenberg.com.au/latest-news/national-press-club-address-the-dividend-of-a-strong-economy/.